In most cases, the homeowner's insurance will cover flood damage so long as it's not caused by neglect. After a storm in Leawood, KS you may be looking at filing a flood claim with your insurance company. This task can seem daunting at first, but fortunately once you understand the process it's fairly straightforward. Here are some things you may want to know. In many cases, your flood claim should be covered by your homeowner's insurance. Most policies cover water and flood damage that come from an accidental pipe break, natural disaster, a storm, and sewer backup. 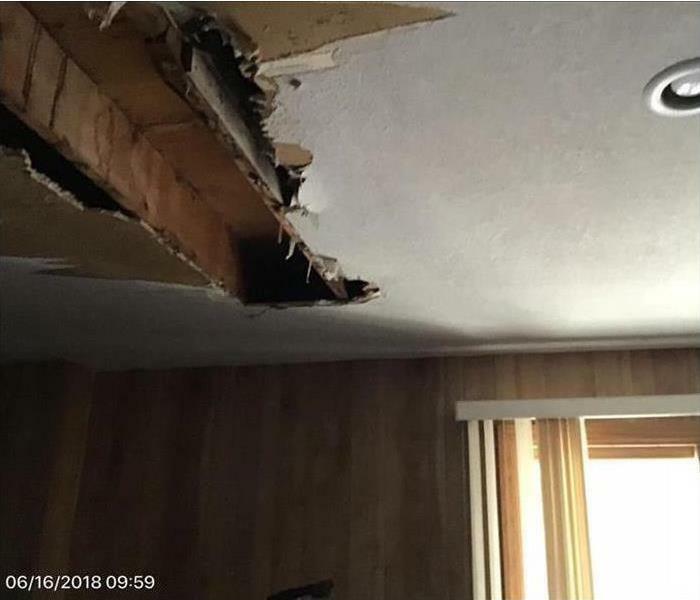 If it's determined that the water damage was caused by neglect, it may be decided that the damage is not covered by the policy. It's important to know what your policy says and take the steps necessary to maintain your home. Many insurance providers may recommend using a trusted and certified water damage restoration company to conduct the repairs on your home. These professionals have the knowledge and equipment needed to do the job as quickly and thoroughly as possible. When filing your flood claim remember that there are things you can do before your insurance agent arrives. 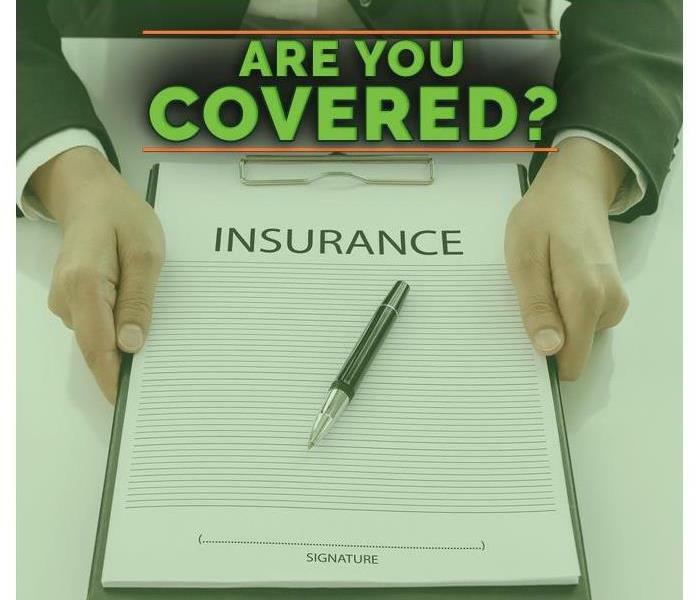 Be prepared to answer questions by knowing what your insurance covers. In most cases, the homeowner's insurance will cover flood damage so long as it's not caused by neglect. A professional restoration company can help get your property back in order. A single incident can result in several types of damage at a commercial building. A single incident can result in several types of damage at a commercial building in Aubry, KS. Water damage from a pipe break or roof leak is considered primary. If black mold forms due to delayed mitigation or incomplete restoration, it would be considered secondary. Considering damage in terms of causes and effects can distinguish primary from secondary damage. Where Does Primary Damage Start and Stop? Only the direct results of the original incident are primary damage. If this issue is quickly mitigated, there will be less opportunity for further problems to occur. What Are Some Common Types of Secondary Damage? Additional damage can take place at the same time, immediately after or from hours to days after the primary damage. Here are a few of the most common types of additional problems. 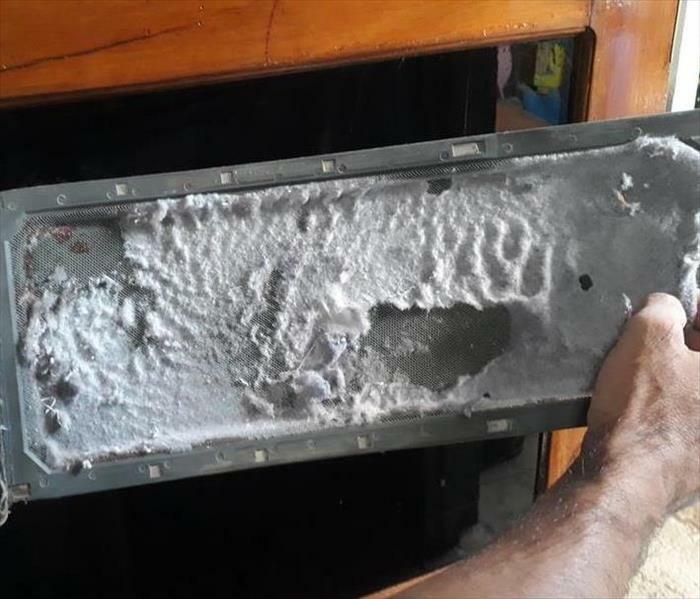 High humidity levels and other conditions necessary for these types of problems to take place typically result from primary damage that persists for a prolonged period. Commercial insurance policies cover most primary damage, but may not cover, or only provide limited coverage for additional problems such as black mold. How Is Primary and Secondary Damage Distinguished? A building owner or manager may distinguish primary and secondary forms of damage by considering causes and effects. If the original incident caused damage, the effects are likely primary. If other factors, including time, are involved, the damage may be secondary. Commercial property owners and managers should have restoration professionals perform an assessment after a water event. Specialists should arrive on site within hours to limit the severity of damage and prevent black mold at a building in Aubry, KS. Old food, dirty containers and spills might all contribute to fridge mold, which can spread quickly. 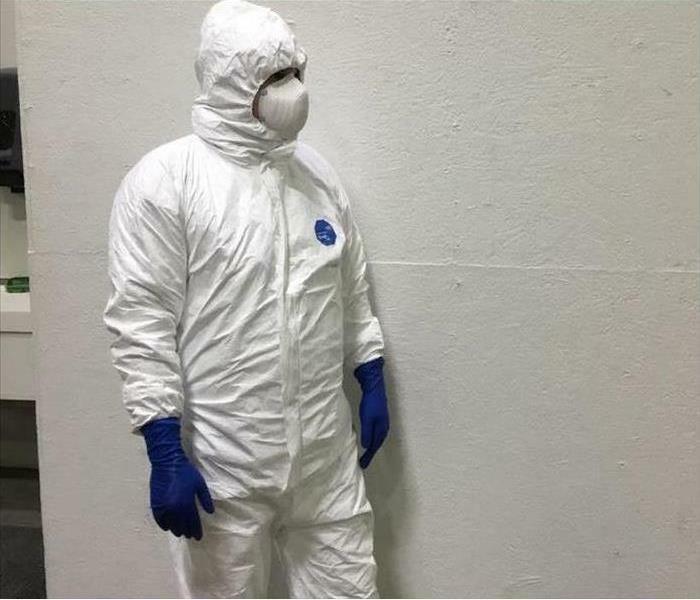 Keeping your Aubry, KS business clean and free of contaminants is likely a high priority for you, as it helps protect the health and safety of your employees and customers. However, your breakroom may be harboring bacteria in the most seemingly innocent of places: the communal fridge. Old food, dirty containers and spills might all contribute to fridge mold, which can spread quickly. Fortunately, there are a few preventative measures available that can help keep fungi at bay. If you decide to offer your employees a fridge where they can store bagged lunches and drinks, it is wise to set stringent rules about its use. Post rules on the fridge door or on the wall next to the unit, and outline usage guidelines in your employee handbook so there are no misunderstandings about when food must be used or tossed out. When the rules are prominently displayed, your employees are more likely to remember and follow them. Some foods, such as peaches, bananas and green vegetables, tend to spoil quickly. This can cause a strong mold smell in the fridge, even if the items are stored in a container. To prevent this, post a list of foods that must be consumed or taken home the same day they are put into the fridge and ban the storage certain foods that cause strong odors and fridge mold, such as tuna, altogether. Having the employee fridge professionally cleaned on a weekly basis can ensure no food is left behind to spoil. Let your employees know the unit will be completely scrubbed out each week and that a mold prevention and cleaning service will be disinfecting fridge shelves and throwing away any food that is left behind. As an Aubry, KS business owner, preventing fridge mold in your employee breakroom can be a challenge. However, setting a few simple rules and using a professional cleaning service may keep the unit looking and smelling fresh. When talking to your fire restoration company, remember that it can also help with your fire, smoke and mold restoration needs. For a commercial business in Leawood, KS a fire can cause multiple problems. In addition to the damage caused by the fire itself, emergency efforts can leave the company property with water damage, which can also lead to potential mold problems. Fortunately, a restoration company can do more than just a fire restoration. Here are a few other ways they may be able to help. It's not uncommon for fire damage to lead to problems with water damage as well. Many professional restoration services understand this and can provide water restoration services, along with many other options they may offer. Your insurance provider may have a restoration service it recommends to take care of your company property. These professionals will be able to assess the type of water damage, thoroughly dry the affected area, and perform any sanitation needs that may be required as well. A service that provides fire restoration may also be able to take care of any smoke damage during your company's fire rebuild. This includes removing any odor from the air, removing the scent from the structure of the property, and in some cases, even replacing materials as needed. These professionals may also have the means to clean any smoke damage from company items such as desks, cabinetry, or furniture. A reliable company that offers rebuilding services may also offer mold damage restoration. This is an important service because water damage has the potential to lead to mold growth. In addition to drying and restoring water damaged areas, your team of professionals may also be able to look for potential mold problems and take preventive steps as necessary. When talking to your fire restoration company, remember that it can also help with your fire, smoke and mold restoration needs. These professionals will know what to look for and be able to tell you how severe the damage is, and what some solutions are. In many cases, they may also be covered by your insurance provider. If you have any questions, a professional may be able to help. Quick action is the best way to keep damage at a minimum and is your best option for saving any of your possessions. When water gets into places where it isn't supposed to be, it can cause a lot of water damage. Water can ruin your furnishings, your home, and your cherished belongings. Quick action is the best way to keep damage at a minimum and is your best option for saving any of your possessions. Before you get anywhere near the water-damaged area, disconnect the electricity. After doing this, unplug your electronics and move them (and other items) out of the area. If electrical items have been affected by water, you'll probably have to throw them away, but removing them quickly may give you the chance to recover some appliances. Remove as much water as possible from the area. If the issue was broken pipes or another local problem, you can pour the water down a drain. If, however, the water damage is the result of a sewer backup or major community flooding, you may need to pour the water onto your lawn instead. Resist the urge to plug in a wet/dry vacuum because of the danger for electrocution. However, it may be possible to rent a sump pump from a local flood damage remediation professional. After mopping up as much water as you can, open the windows to improve ventilation. 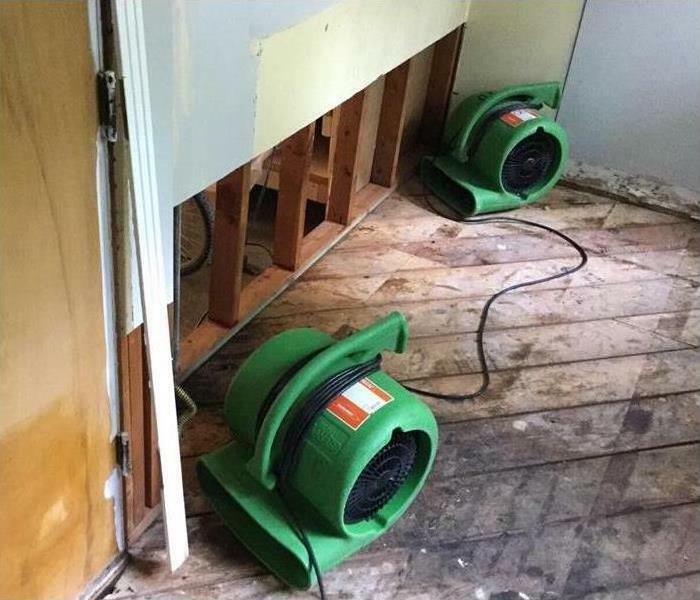 Next, set up fans and dehumidifiers to speed up the water cleanup and drying process. Move out carpets or curtains and let them dry outside of your home. Depending on the extent of the damage, you may need to remove baseboards and drywall. The best way to be sure your home is thoroughly clean, and to avoid lingering smells, is to hire professionals for this step. Technicians have specialized tools and cleansers. These four steps can help you minimize water damage. As you quickly carry them out, the steps may help you save some of your valuable belongings and reduce the cost of repairing and restoring your Aubry, KS home. The building owner or manager typically contacts a professional, whether it's the plumber or mold remediation specialist. When you rent your home in Aubry, KS you may not have all the freedom homeowners have to alter the property, but you also don't have all the responsibilities of property ownership. It's important to have rental insurance to protect your personal belongings in case damage happens. It is equally vital to know where your responsibility for the property begins and ends. One of the benefits of renting is that someone else is almost always responsible for fixing the problems in your home. The building owner or manager typically contacts a professional, whether it's the plumber or mold remediation specialist, and that is how the problem is resolved. If you report the issue in a timely manner, you probably won't need to worry about your rental insurance provider having to cover the cost of the work. As a renter, you have a certain duty to mitigate. This does not mean that you are responsible for toilet repair or mold removal, but you are expected to report any problems in a timely manner. Your lease likely outlines what the property manager expects from you as a tenant. Once you sign it, you are bound to those responsibilities. Your insurance coverage likely works the same way. You must take every reasonable step to minimize the damage to your belongings. Otherwise, your policy will probably not cover their remediation or replacement. The coverage only compensates you to the extent the damage was out of your control. Rental insurance protects you from having to replace items in your home that get damaged through no fault of your own. As long as you have done everything you can to avoid or minimize damage, you are probably covered. SERVPRO has franchises in nearly 2,000 locations around the country. 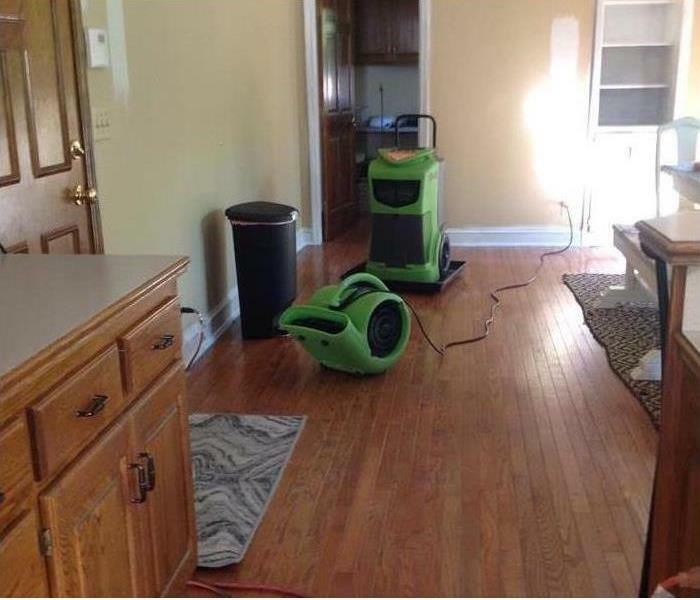 When you need flooding, fire, or storm restoration services, SERVPRO gets there faster to any size disaster. Leawood, KS, trained professionals are available every day at all hours, so when your property needs damage mitigation or other emergency services, a technician is just a phone call away. On-call teams are available at all times. Teams arrive faster to any size disaster. Franchises are recognized industry leaders across the nation. Technicians are ready to file your insurance claim. Local insurance companies and other service providers prefer working with SERVPRO. Technicians have top-quality training for fire, water, mold, and mildew cleanup and restoration. If you're not sure which services you need or how to get started, get answers with a simple phone call. Do you have a commercial property that needs attention as well? The condition of your business sends a message to clients, even after natural disasters. Get your commercial properties looking their best as quickly as possible. SERVPRO cleaning and emergency restoration crews are on standby to provide emergency services that prevent further damages and to make a plan of action immediately following the disaster. 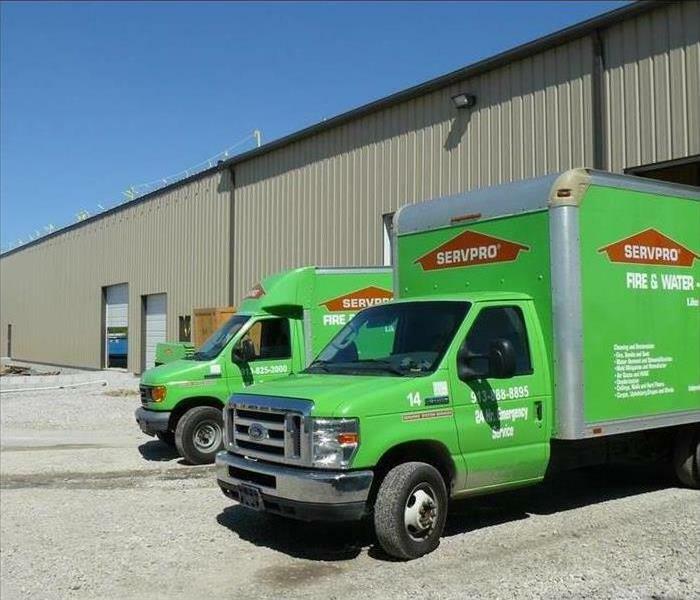 Whether you need emergency damage restoration for your Leawood, KS, home or business, SERVPRO professionals are ready to arrive faster to any size disaster. Locally owned franchises are located across the country, so teams can be mobilized to provide you with the services you need to feel like the disaster never even happened. When storm damage impacts your Leawood, KS business, the monetary loss can be considerable. Flooding, hurricanes and other types of violent weather events can cause severe storm damage to your Leawood, KS business. The removal of flood water and the repair and restoration of one or more areas of your building may force you to close your business until the damage is fixed. You may be able to recover some of this loss when you file your taxes; however, there are a few questions you might want to ask yourself before you try to claim these damages. 1. Did I File an Insurance Claim? 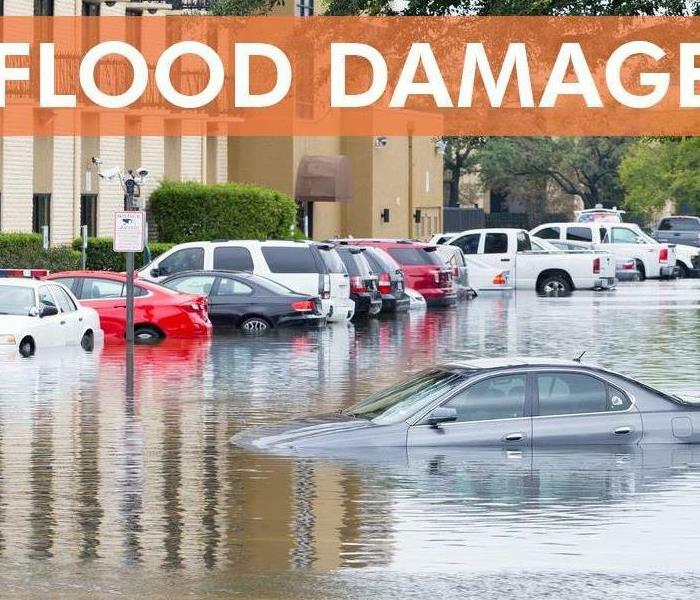 Before you try to claim damage that occurred from flooding or other types of weather-related events, it is important to ask yourself if you filed an insurance claim and whether you received any compensation. If so, you cannot deduct such losses from your taxes. While it is permissible to receive recompence, you cannot file a claim and then receive a tax discount as well. If you have business insurance, check with your agent concerning your options before you file. Not all storm damage to your businesses is tax deductible, and the rules are typically different for commercial properties. For example, homeowners are bound by certain restrictions that involve the total amount of their gross income. As a business owner affected by a weather event, you could be exempt from these caveats. The total amount you can claim will likely depend on past insurance claims and the type of damage your property endured. 3. How Long Do I Have To File? You may have delayed in your filing as you wait for your flood damage and restoration service to finish repairs to your business in order to have specific cost amounts instead of estimations. While this may help you claim a larger refund, it is a good idea to contact your accountant or local tax office to ask about filing deadlines. When storm damage impacts your Leawood, KS business, the monetary loss can be considerable. Understanding how to claim it on your taxes before you file may result in faster compensation and avoid delays that could harm your business in the long run. Dryer fires are relatively common causes of household fires, particularly during the fall and winter months. Up to 34 percent of these fires result from failure to clean lint out of dryer filters or exhausts. A homeowner should take the following measures to prevent a lint fire. Maintaining a clean laundry area can decrease lint fire risks. Lint that backs up or works its way through a filer will end up in the dryer exhaust, which should also be regularly cleaned. All of these methods can remove lint from the dryer end. It is also a good idea to clear out the exterior vent. For the best results, perform maintenance every few months and hire professionals to clear a dryer exhaust once a year. Regularly dispose of all collected lint. It can be easy to overlook a trash container filled with this flammable material. Lint poses a fire hazard as long as it remains anywhere near a dryer. As many as 3,000 residential dryer fires break out every year, according to the U.S. Fire Administration. These measures may reduce the risk of a lint fire at a household in Aubry, KS. A residential restoration service can clean up and repair damage caused by a dryer fire. Contact your insurance agent to find out if you are covered. One of the most effective ways to protect your Leawood, KS, home from costly damage is by investing in homeowner’s insurance. From fire to theft, many different instances are covered. However, some issues, such as widespread fungus growth, may not have guaranteed coverage. If you are unsure about what your current policy covers, there are a few questions you can ask your local insurance agent to gain better peace of mind when it comes to protecting your home. 1. Does a Basic Policy Cover Mold Damage? Most homeowner’s insurance does not cover circumstances that are most likely to cause mold growth, such as flooding from torrential rains or other weather events. If you live in an area that sees a lot of rain and high humidity, then it is a good idea to invest in a separate mold coverage policy that protects your home against such conditions. 2. Are Preventable Issues Covered? Most insurance companies require you to perform regular maintenance around your home, especially in the case of fungus growth. For example, if you let your home’s roof fall into disrepair and melting ice and snow causes a leak in the attic that encourages mold growth, your policy is not likely to cover the damage. Keeping your home in good shape can prevent these issues and the costly repairs they may cause. 3. Is Mold Cleanup Covered By Insurance? 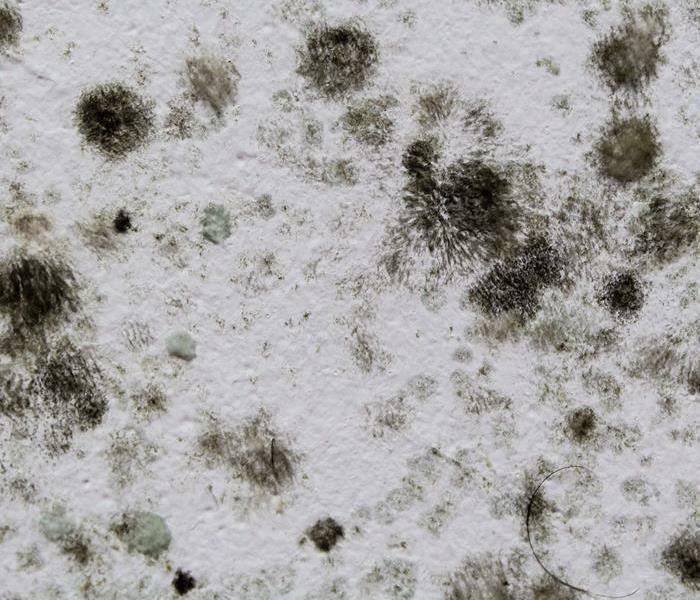 Whether homeowner’s insurance covers mold cleanup can depend on individual circumstances. For instance, if a kitchen water pipe bursts without warning and you do all you can to shut the water off and prevent further flooding, your policy will likely cover the cost of repair by a flood damage and restoration service. Buying separate mold insurance is one of the most effective ways to ensure complete coverage. Fighting fungus growth at your Leawood, KS, home can be a frustrating experience. However, when you understand what type of support your homeowner’s policy offers, you may feel greater peace of mind when repairs are necessary.